Here comes the bride! 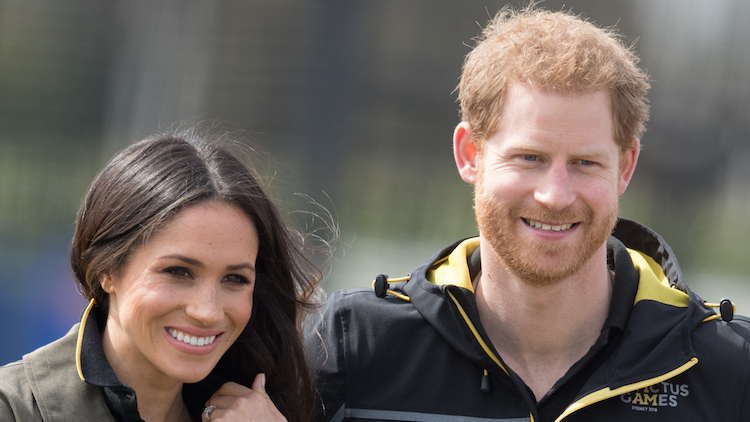 Prince Harry and Meghan Markle are just over a month away from saying "I do," and now new reports reveal the soon-to-be newlyweds may be flying across the pond after their wedding — for a good cause. Watch the video above for all the freak out-worthy deets! According to Travel + Leisure, six veterans from both the United States and the UK will walk more than 1,000 miles from the West to East Coast over the span of 14 weeks to raise funds for veterans across the globe. Although Kensington Palace didn't confirm that the couple would be visiting the United States in honor of the walk, sources told Vanity Fair that the palace is already making plans for the couple's first overseas trip. Plus, Prince Harry will be kicking off the expedition on April 11 at an event in London, a telltale sign he'll most likely make an appearance in the United States. Not to mention, the walk is set to begin in Meghan's hometown of Los Angeles. And according to VF, she wants to show him around — and most likely show him off, too! "Meghan wants to take Harry home once they are married on a formal tour," a source told the mag. "It's her home and she would love to go there with Harry after the wedding." On top of that, there's reports that the seriously adorable couple will take a trip to Canada to meet up with Justin Trudeau and his wife, Sophie Grégoire Trudeau, who are good friends of Markle's. "Canada is on the cards," the source told Vanity Fair. "There's a lot of talk at a high-up level and among the powers that be that it will be the first country the couple visit." Not only did Prince Harry's big brother William and sister-in-law Kate visit Canada in 2011 after their wedding, but they also made a trip out to California while they were there. So if Meghan and Harry are mimicking their trip, maybe a visit to Los Angeles isn't so far-fetched.